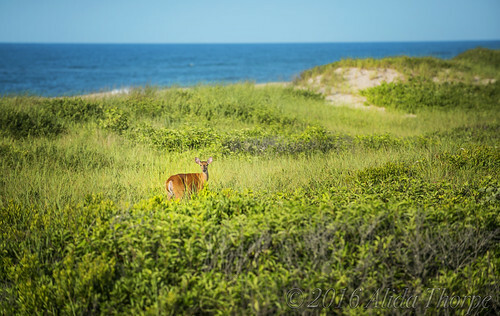 Too many deer on Fire Island, they say. I saw family of deer everyday this past month. They roamed through the towns and dunes. Some people are seen feeding them! They were covered with ticks!